Garcia, Garcia is a Design & Build company, with know-how and unique experience in terms of construction. With a recognised capacity for management and operational implementation, Garcia, Garcia today is a specialist in turnkey solutions, integrating the different dimensions of a construction project. In its projects, Garcia, Garcia has a broad intervention that is adjusted to the project to be developed. 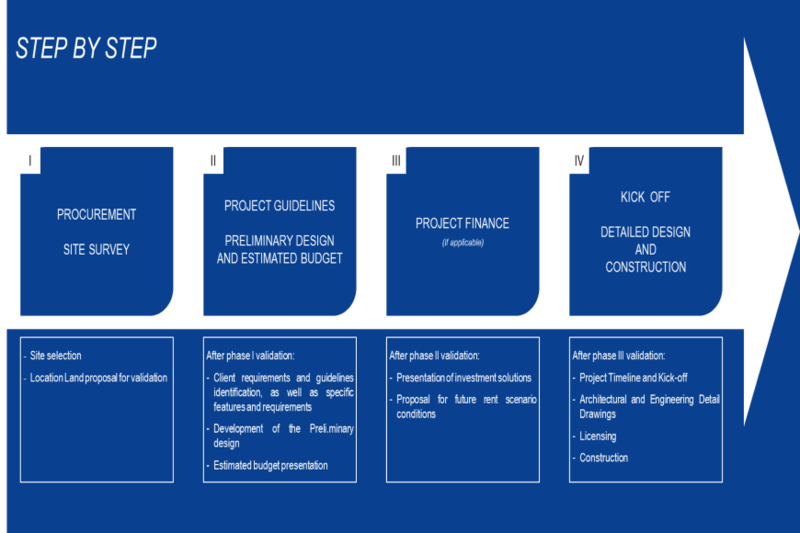 Based on an “idea” from our clients, we ensure all the different phases of the project, from procurement to localisation and including design and construction, until the handover of the “key”, guaranteeing an end result in keeping with effective needs of our clients, while ensuring the three key aspects of quality/cost/timing. The offer of this type of solution, adjusted to the needs of an increasingly demanding market, results from the vast experience of Garcia, Garcia in projects of great complexity and dimension. In everything we do, our focus is on satisfying the effective needs of our clients. The relationship that we establish is of total transparency and we believe that in all our projects we must create value for our clients, with a relationship model based on the mainstay of “partnership”. Each client/project presents unique characteristics. As such, Garcia, Garcia aims all its efforts at understanding the particularities of the potential client and its “value chain”. It is only once we have done this that we develop solutions, adjusted to specific situations and liable to stimulate the value creation process. In all the projects that we manage, Garcia, Garcia ensures all licensing processes, approvals and authorizations required, both for the construction and for the future operation of the asset. We undertake or provide support for our clients in all negotiations with local and/or government organizations. 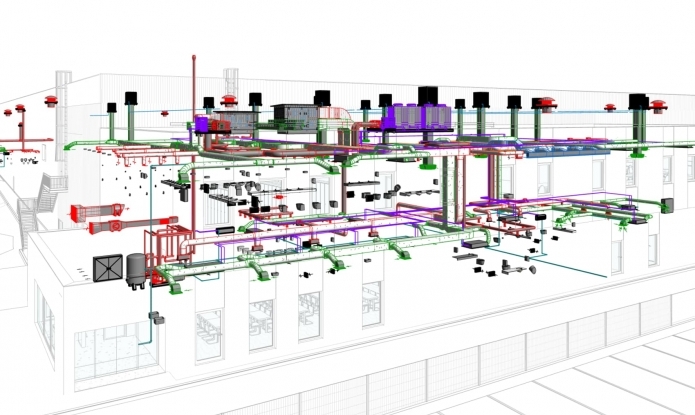 BIM (Building Information Modelling) is an integrated information management process that covers the different specialities involved in a project, providing conditions for structured sharing of information between all the parties involved. Its scope extends throughout the project lifecycle, from conception to construction, involving the very operation/maintenance of the building, through the inclusion of data concerning these different phases. 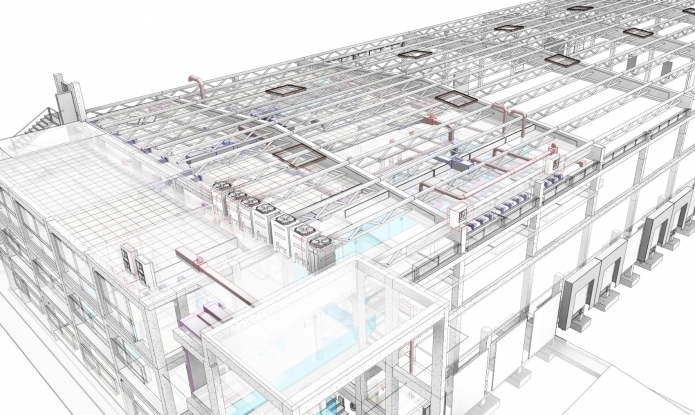 Without any reservations, it can be said that BIM is the most important disruptive evolutionary move forward for the AEC sector in the last 30 years. Aware of this situation, the company has committed itself and invested in BIM methodology as a model and work tool. 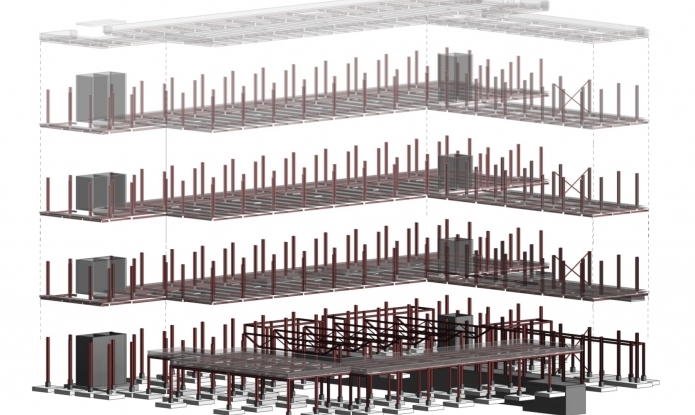 We are currently developing our projects entirely using BIM tools, streamlining the cooperation and working relationships between the different stakeholders during the design and construction process, integrating the different specialities and consequently optimising procedures. 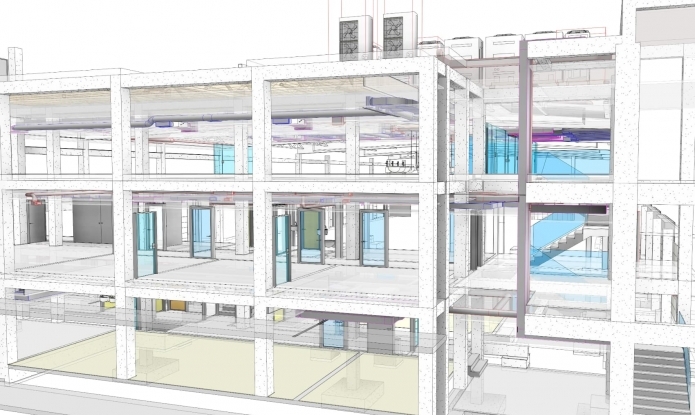 By using BIM, we boost effectiveness and efficiency, favouring a reduction in time limits for design and construction and a reduction in costs, as well as ensuring the development of projects with a higher degree of confidence. Our work model and our approach to the challenges that we face enable us to adjust our intervention to the specific needs of each client. Knowledgeable about the property market and with a solid network of partners, we develop all the initiatives necessary to present a location proposal that matches the client’s goals. Once the location has been validated, we embark on work with the client and its team to define the guidelines and requirements. Based on the above, an initial Preliminary Study is developed, with its Budget Estimate. If necessary, we design investment solutions adapted to the profile of each client. Our expertise, experience and renown in the market enable us to ensure a close relationship with some of the largest real estate investment funds operating in Portugal. With the validation of the previous stages, GG guarantees all the work in terms of Architecture and Engineering projects, as well as the licensing and consequent construction of the property. © 2018 Garcia Garcia SA - 3402- PUB. All rights reserved. Necessary Cookies These cookies are required to enable the site's primary functionality and are automatically enabled when you use this site. Funtional Cookier These cookies are required to enable the site's primary functionality and are automatically enabled when you use this site. Advertisement Cookies They allow you to be in touch with your social network, share content, send and post comments.